Dancers needed for a new production by Magic Hat Productions. 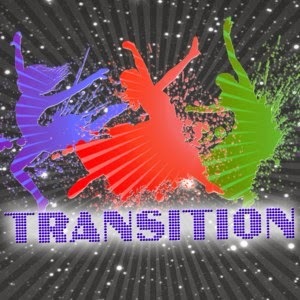 Magic Hat will be producing ‘TRANSITION’ from Wednesday 12th – 15th November 2014 with a total of 5 performances at the Compass Theatre. The full length Dance Production will contain many different styles celebrating the past 100 years of dance. We are looking to cast talented and versatile performers who will be able to adapt to many different styles and pick up choreography quickly. They will be strong performers and will be able to maintain high levels of performance for the duration of a full length production. Rehearsals will run every Monday and Wednesday evening from 7pm and Sunday afternoons (1-5pm) starting on Wednesday 24th September. There may be times when rehearsals alter from this main schedule, and a full timetable is available upon request and at auditions. Dancers are expected to attend all rehearsals. Please do not apply if you have limited availability during this time. Auditions will be held at the Harrow Arts Centre on Sunday 21st September in two time slots. Dancers will attend a 3 hour workshop audition where they will be taught choreography, as well performing their own routines. Time slots and further information on the auditions will be sent out after applications have been received. When applying, please specify if you would prefer a morning or afternoon slot. We cannot guarantee, however, that all requests will be met. Please note these are unpaid roles. If you have any questions, please contact the company direct and we will help in any way we can.